Students explore part-whole relationships while creating unique designs! This math art project was discovered by my mentor teacher. Second and third graders were asked to create art using geometric pattern blocks. 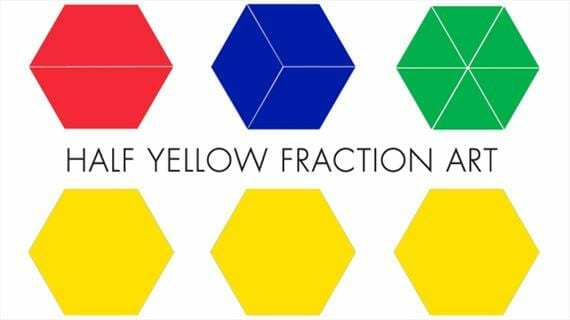 The only catch was that their design had to be half yellow, meaning they had to base their artwork around yellow hexagon blocks. 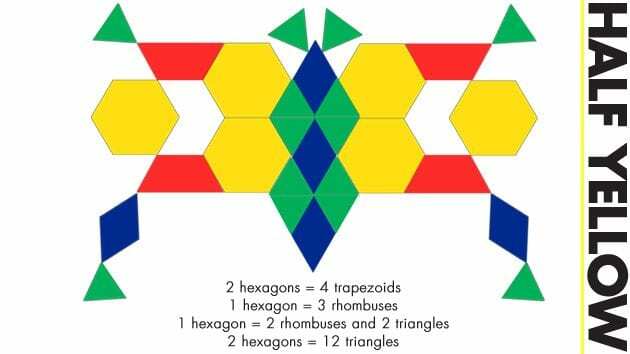 Before constructing their design, they had to figure out what and how many shapes were equivalent to a single yellow hexagon (2 red trapezoids, 3 blue rhombuses and 6 green triangles). Then, they created their art! Before they recreated it on a sheet of paper, I went around and checked their math. 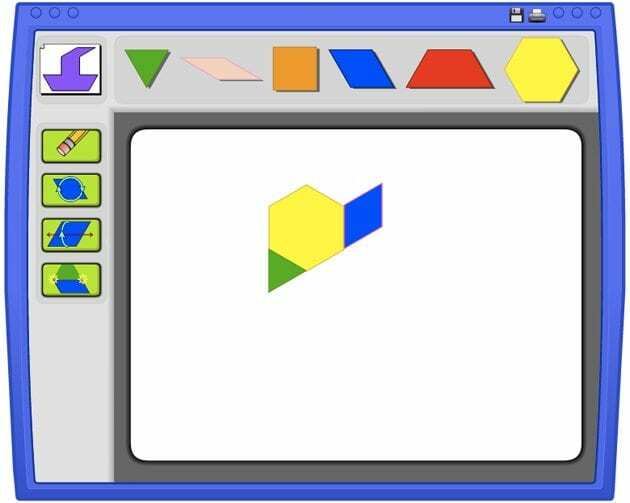 Shapes had to add up to represent each yellow hexagon they incorporated in their design. Students kept their geometric pattern block design intact and used a geometric shape template (shown below) to recreate their design. If you want to incorporate technology or do not have access to geometric pattern blocks or a stencil, you can use Illuminations’ Patch Tool! Students create their design online and print it. 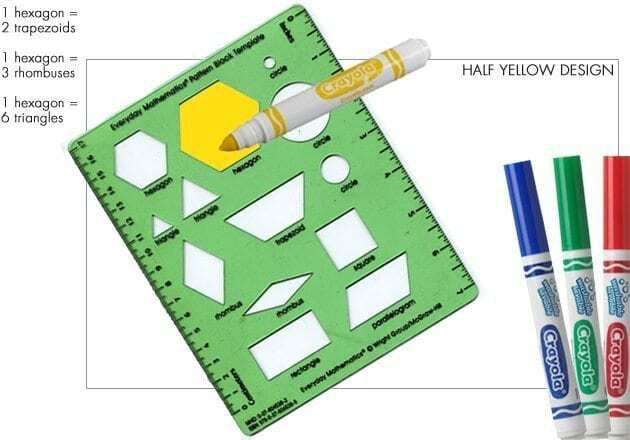 This project is a fantastic way to assess students’ knowledge about fractions. It’s interesting to see how students manipulate shapes to create original designs.